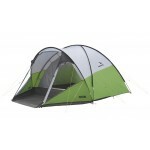 The Vango Kinetic Range of AirBeam tents are loosely based on their best selling Icarus weekend range. 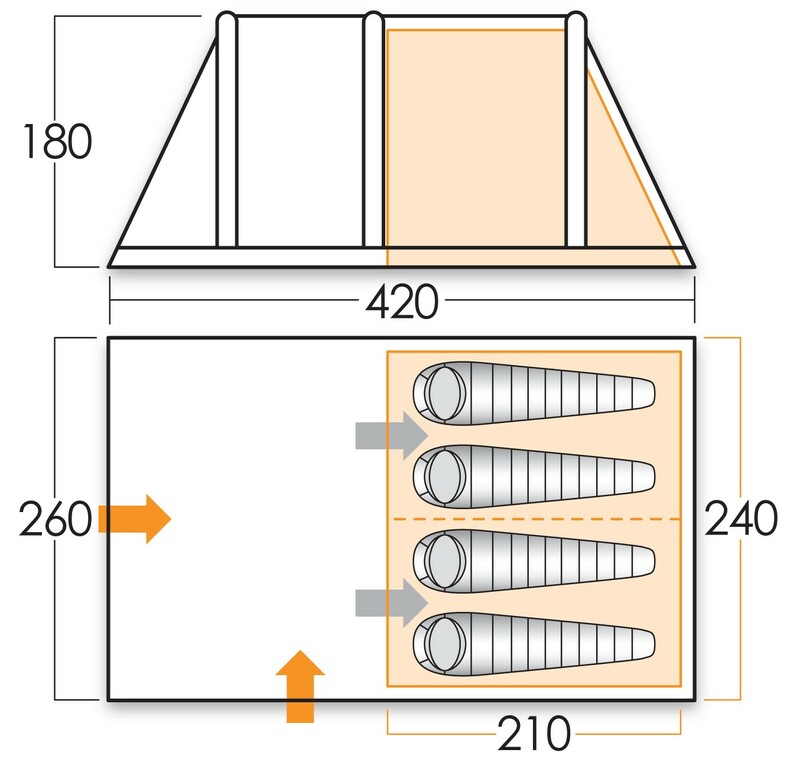 The Kinetic 400 is the 4-berth version of this tent and features stand-up head height (1.8m), a 4-man inner tent with central roll back divider and an ample 2m x 2.6m living area. The living area also features two entrances (front and side), and multiple windows (with internal privacy covers) to allow in plenty of light. There is also an optional Front Canopy for this tent which will more than double the living space and is an ideal addition for longer vacations. Vango AirBeam tents are quick and easy to pitch - simply peg out each corner of the tent in place and then inflate the AirBeam inflatable inner tubes with the Vango AirBeam pump (supplied) and the tent effectively pitches itself. Then simply peg out the guys and you are ready to go. Everything is pre-attached, the AirBeam tubes, groundsheet and flysheet and so there's no preparation or assembly required. The flysheet is a high quality, embossed Protex 6000 70D polyester with 6000mm hydrostatic head waterproof protection. 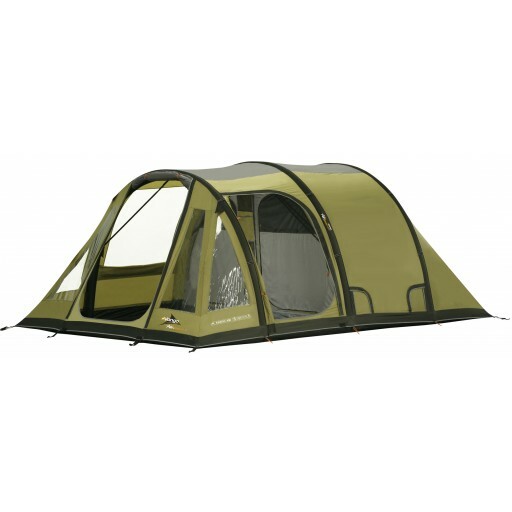 It features a fully sewn-in polyester groundsheet throughout and breathable fabric inner tent which also has its own lightweight polyester groundsheet and easy find inner clips. There's also Vango's own TBS II (Tension Band System) - internal webbing straps to stiffen the structure in the event of windy weather. 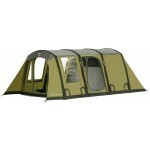 Other features of the tent include, a part mesh inner door, front and side doors with mesh double doors, front door can be propped open to form a sun canopy (porch poles not supplied), multiple windows with inner covers, pelmets with pockets, hanging organiser, AirZone ventilation, flysheet first or all-as-one pitching, reflective webbing, pump, roller bag. Flame retardant materials throughout. Fully wind and rain tested. Approx. 5 minutes pitch time. 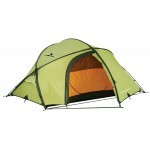 Vango Kinetic 400 Airbeam Tunnel Tent.